The first part of the book involves the synthesis of novel Fe dopes TiO2 catalyst for the degradation of the BBG dye. 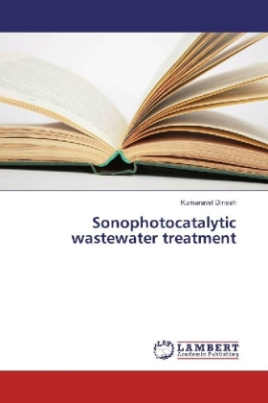 The second part of the novel involve the synthesis of catalysts such as ZnO and Fe/ZnO composite for better treatment of AY23 dye.The third part of the book involves the synthesis of catalysts such as Bi2O3 for the of SR dye and real textile wastewater. The fourth part involves the comparative study of the synthesized catalyst Fe,TiO2, ZnO, Bi2O3 and Fe doped catalyst(Tio2,ZnO,Bi2O3) with the degradation of the three model dyes(BBG,AY23, and SR) using ultrasound irradiation, UV-C radiation and sonophotolysis.